Clinical labs must have the ability to go from a collection of samples and associated variants to a professional report documenting a short list of clinically relevant variants. Cancer Gene Panels are a common clinical application for genetic tests. 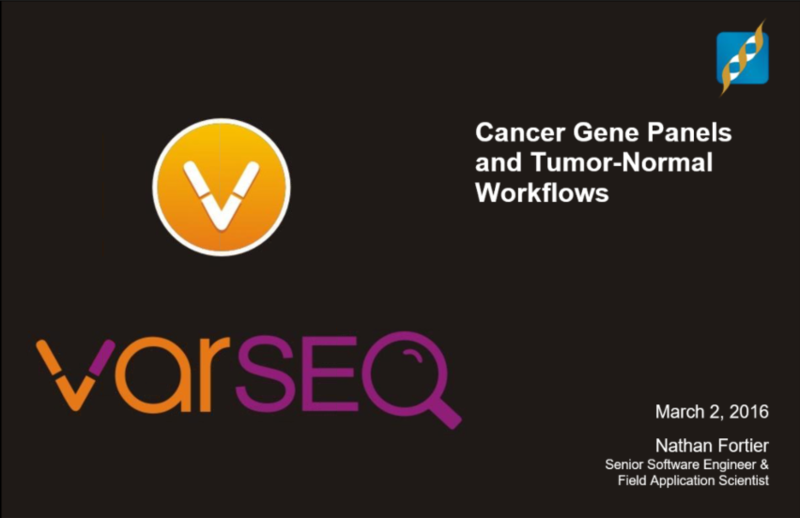 In this webcast we will show how VarSeq and VSReports can be used to go from an unfiltered variant file created by a secondary analysis pipeline to a report containing information about interesting variants. Nathan Fortier joined the Golden Helix development team in June of 2014 and is a Senior Software Engineer and Field Application Scientist. Nathan obtained his Bachelor’s degree in Software Engineering from Montana Tech University in May 2011 and received a Master’s degree in Computer Science from Montana State University in May 2014. He is currently pursuing a Ph.D. from Montana State University. Nathan works on data curation, script development, and product code. When not working, Nathan enjoys hiking and playing music.